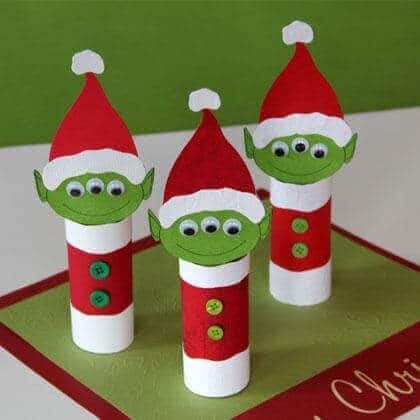 Check out these great ideas for Christmas toilet paper roll crafts that boys (and girls) will love! 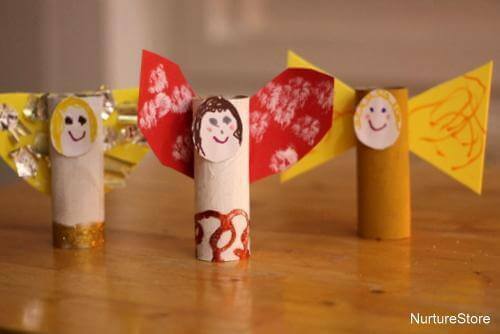 Have you tried making any of the toilet paper roll crafts yet? I laugh every time I think of the lowly toilet paper cardboard tube becoming a popular craft supply. 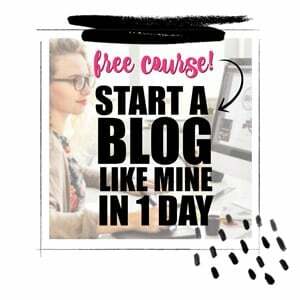 But there are tons of darling ideas using them! Put any prejudice behind you and get crafting! Your Christmas party will be a hit with these 16 Cute Christmas Party Food Ideas Kids will Love. Have fun with these 11 Awesome Homemade Gifts You and Your Kids Can Make. I promise kids will have fun crafting the Cardboard Tube Frozen Olaf, Santa, Snow Owl Christmas Ornaments, Reindeer, and Christmas tree. Mice, 3 Kings, regular Elves and Three-eyed Alien Elves are great make-and-take favors for a kids’ Christmas party. The Model Christmas Town Craft, Toilet Roll Carolers, Easy Ornaments, and a Nativity Set are great Christmas decoration ideas boys can make themselves, with just a little help. 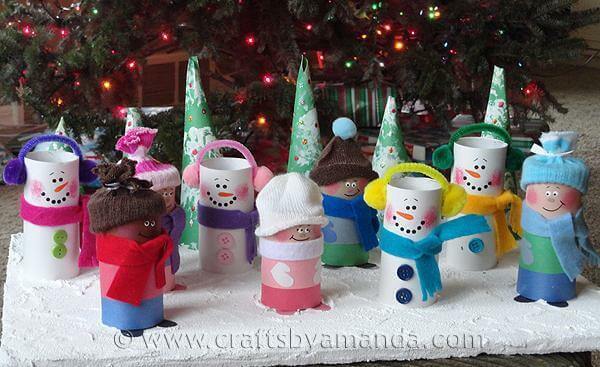 There are even ideas for Christmas Angels, Toilet Paper Roll “Christmas Lights”, Children, and Snowmen. 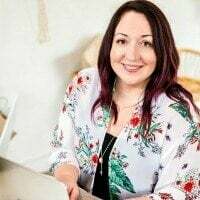 The Honeycomb Wreath or Flower Petal Wreath would make a super front door welcome and Yule Log Favor Boxes would be wonderful remembrances even for adults. Kids will love crafting up a snowman who won’t melt! 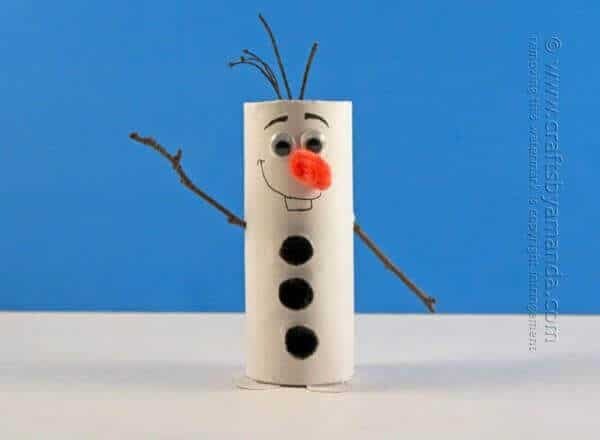 With only a few supplies needed (toilet paper tube, twigs for arms and hair, and a few basic tools like a glue stick), Olaf will make a welcome addition to your Christmas decorations. 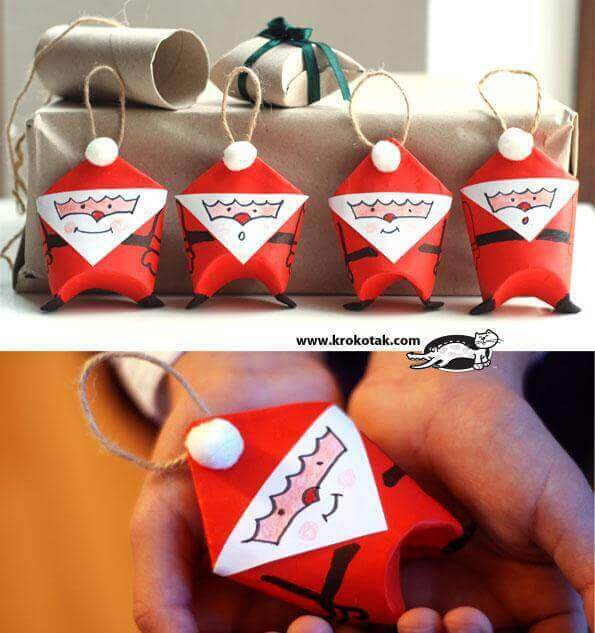 Add Santa to your Christmas tree with this easy-to-make toilet paper roll Santa ornament. 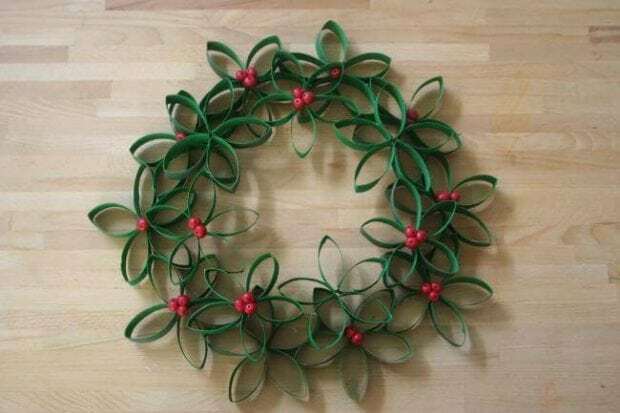 Red and white paper, a permanent black marker, scissors, glue stick, a piece of twine and a few steps later—a whole lot of jolly! Craft up glittering snow owl Christmas ornaments using items you probably have on hand. 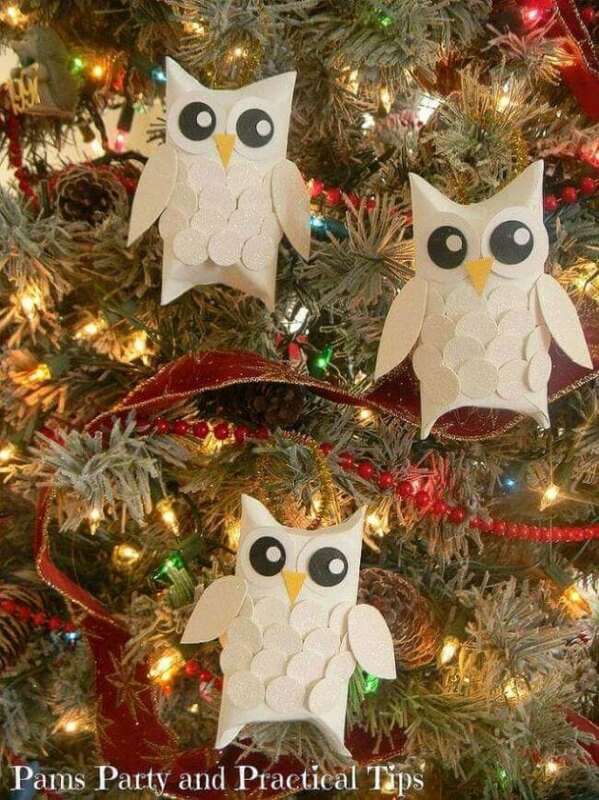 “Whooo” knew scrap pieces of paper and white paint would create an adorable little creature for your tree? If you’ve always wanted your own reindeer, here is your chance. This craft is so easy and requires very few supplies. Pencil the reindeer pattern on a toilet paper roll, cut out with scissors and use markers to add a few details—like Rudolph’s red nose! 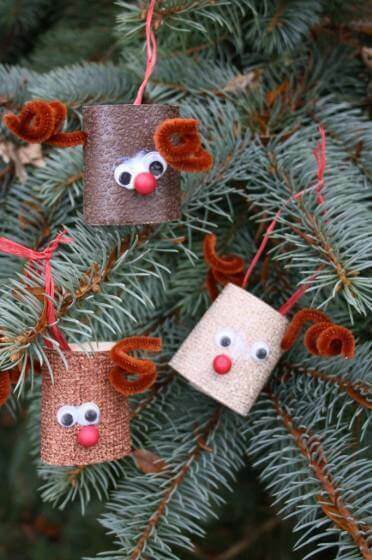 Christmas tree toilet paper roll decorations can be made in a just a few easy steps. This project is easy enough for even young children—green paint, glitter and just a simple scissor cut. Top it off with a paper star. Toilet paper rolls never looked so cute! Kids can grab tape and construction paper to craft up Santa’s elf helper in minutes. They will love the removable hat. 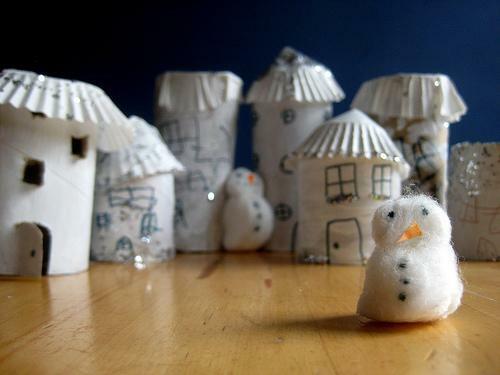 Let your children make a winter town out of toilet paper rolls and they’ll love playing with it all Christmas season long. Cupcake wrappers, toilet paper tubes and simple embellishments (like glitter) can lead to awesome imaginative play. Crafting toilet roll carolers is a great way to use up your stash of ribbon and paper scraps. 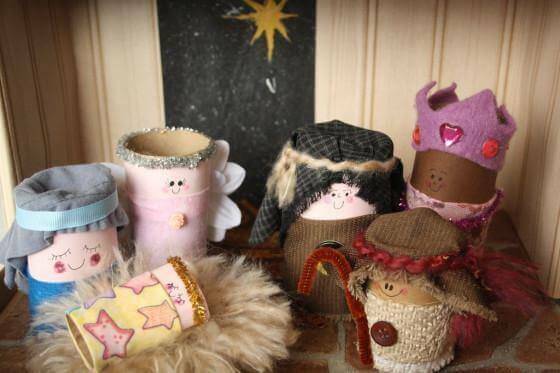 Plus, those matchless socks hanging out in your laundry room make cute hats for these carolers. Have your kids make t.p. roll wise men for retelling the Christmas story. They can use up leftover craft supplies like yarn, wool, paint and fabric to give the wise guys personality. 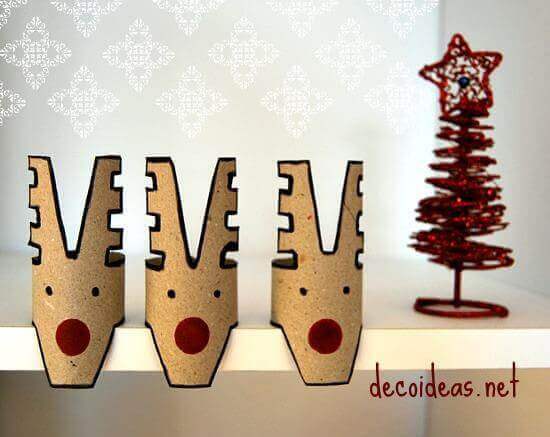 These toilet roll reindeer ornaments might be this year’s cutest addition to your Christmas tree. Brown wallpaper samples provide the base (but brown paper or paint would work just as well), while brown pipe cleaners make adorable antlers. A red nose and googly eyes take the cute look to the next level. Toilet paper roll mice? Nice! Most of the effort is spent cutting the toilet paper roll into ½” strips and then gluing pieces back together—unbelievably cute! 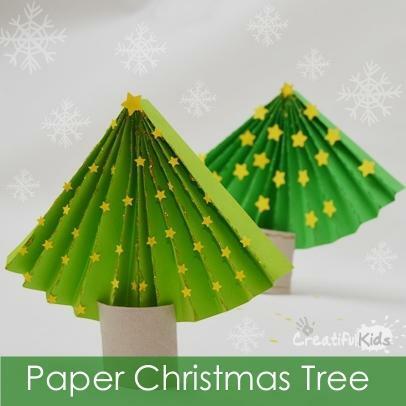 Toilet paper rolls are used as the tree stand in this simple Christmas tree craft perfect for kids of almost any age. A simple accordion fold piece makes an easy tree that can be decorated with stickers, paper and glitter. 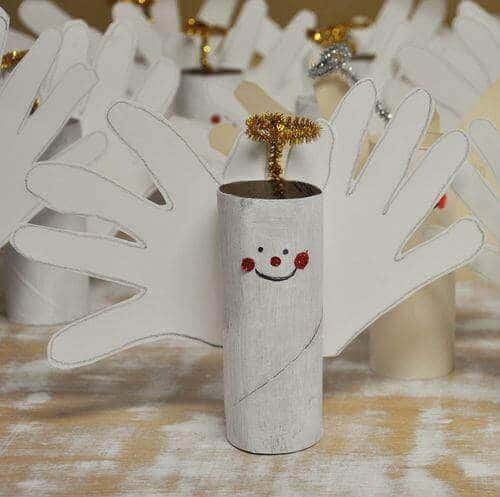 This simple Christmas Angel toilet roll craft will make everyone smile. Glittered details have that power. 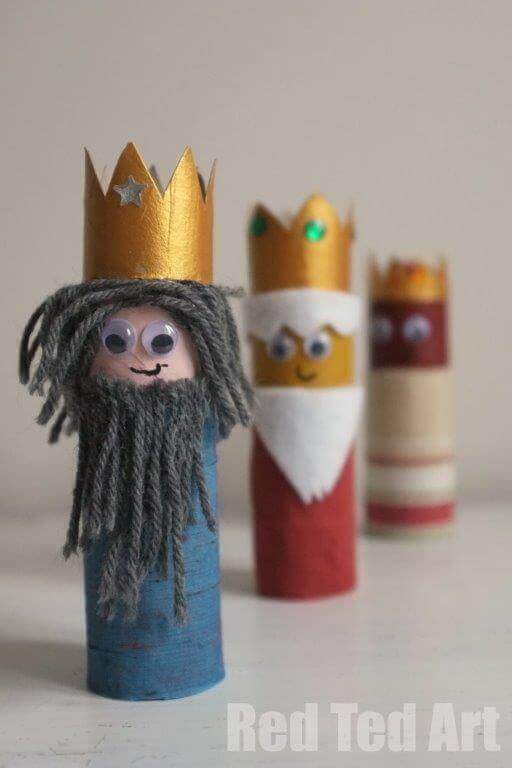 This toilet roll nativity set is amazing. It takes a little more time to create so spread the crafting over several evenings to prolong the joy. For the alien lovers, these toilet paper alien elves will be a joy to make! Three googly eyes make these cuties extra special. Light up your Christmas tree in an eco-friendly way with this awesome toilet paper roll Christmas lights tutorial. No electricity required. 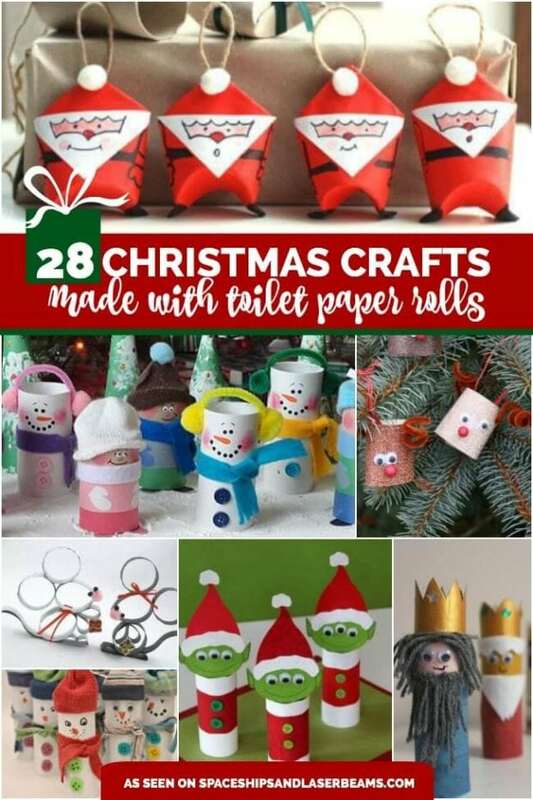 Toilet paper rolls and printable Santa templates make this t.p. 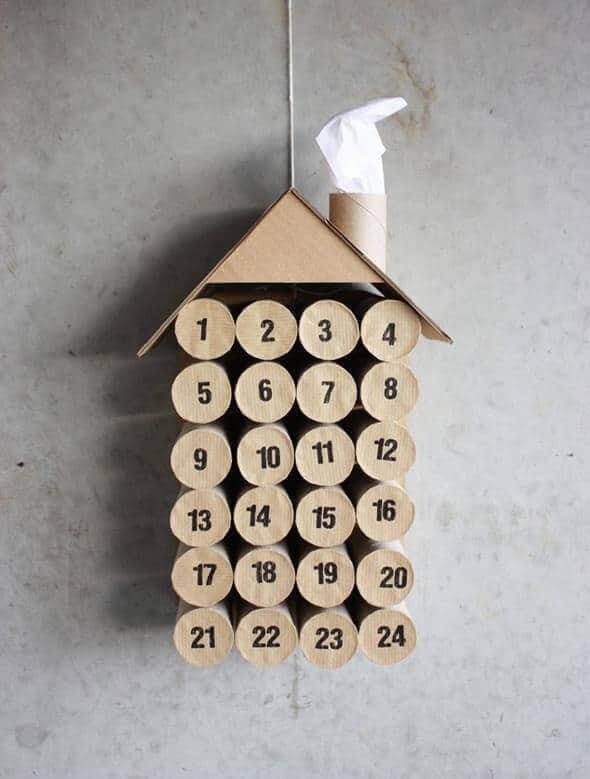 roll advent calendar quick and easy. You can even fill them with treats for each day. 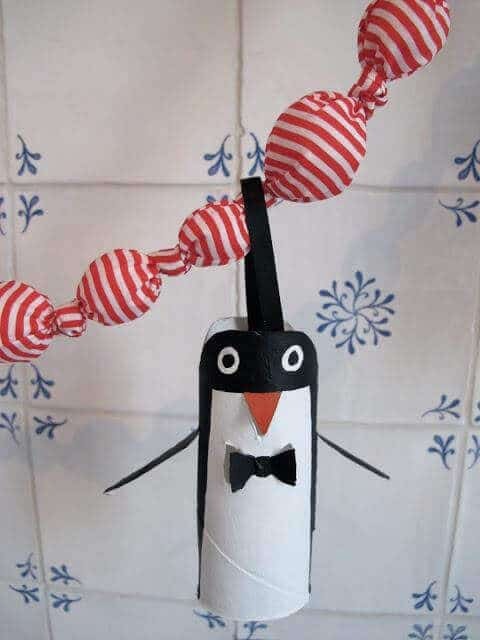 Scissors and paint are all you need to add a little black tie penguin to your holiday décor. Did you know you could make something so adorable from a toilet paper roll? 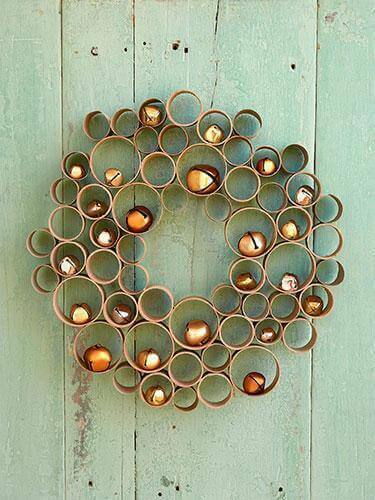 Combining paper tubes of varying widths gives this honeycomb wreath its cool look. Jingle bells add festive merriment. This flower petal wreath is the most genius use of toilet paper rolls and paint I’ve ever seen. Kids will love making something so impressive. 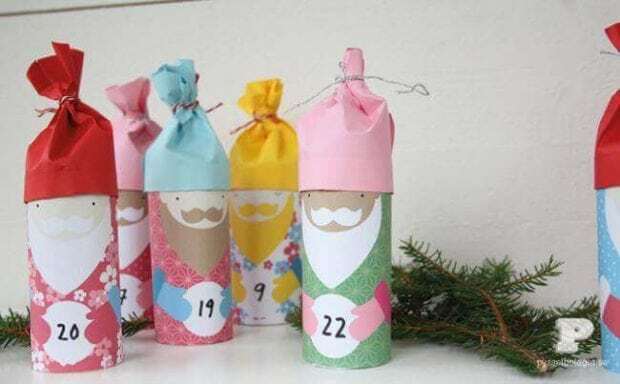 Kids will go crazy for this DIY toilet paper roll Christmas calendar! Filled with treats that they can “punch” out as a countdown to Christmas, it is simple and easy to make. Helping little ones make something impressive to add to the Christmas tree doesn’t have to be expensive or time consuming. 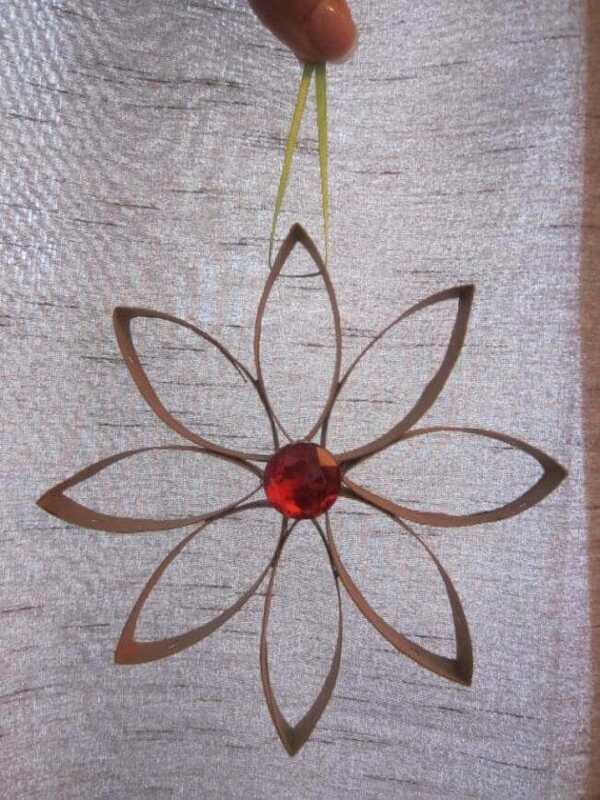 These easy DIY Christmas ornaments made from toilet paper rolls are perfect. 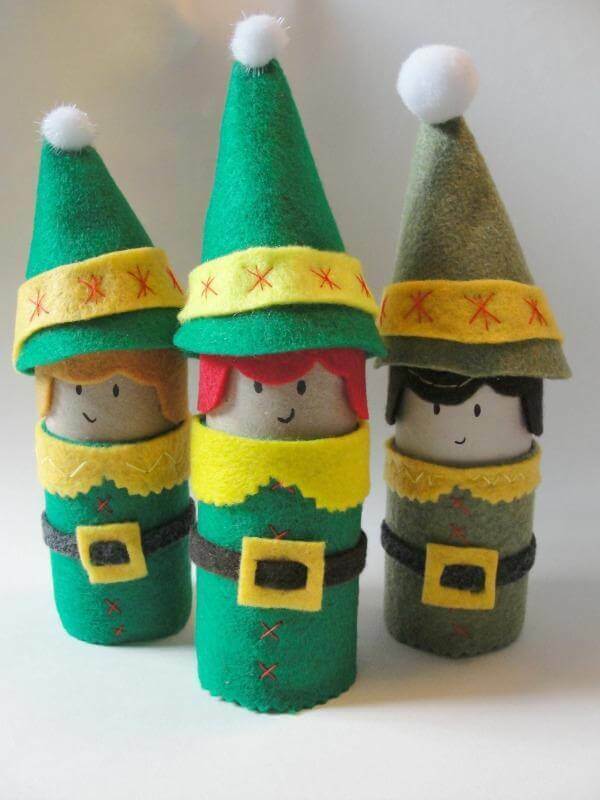 Pull out your felt scraps and a handful of toilet paper rolls to make a whole family of Christmas elves. 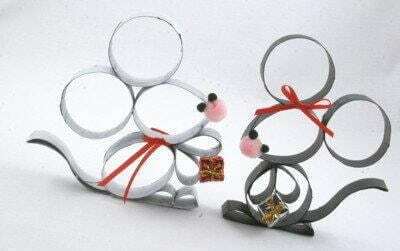 They will be loved and played with all Christmas long. This yule log is actually a gorgeous favor box that looks like a birch log, thanks to a printable faux wood wrapper. 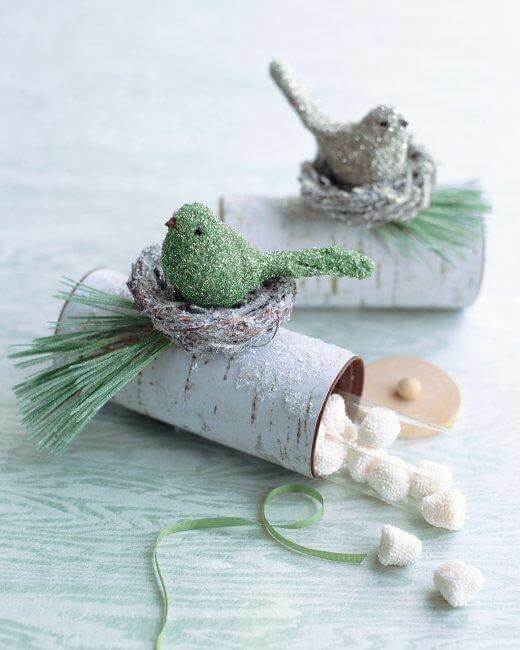 Save those toilet paper rolls for a great party favor! Memorialize those cute little kiddie hands with this sweet handprint angel toilet paper roll craft. A quick trace of the hands and this angel gets his/her wings! 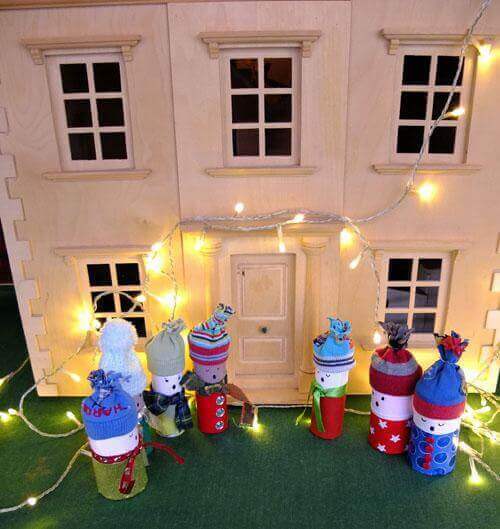 Felt buttons and lone socks pair to make these toilet roll snowman too cute for words. 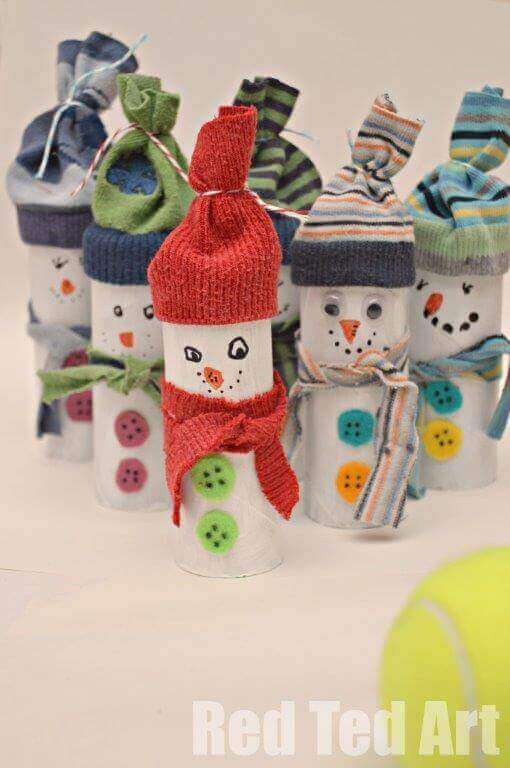 Make a bunch for a fun snowman bowling game. Toilet paper tubes are reincarnated as snowmen and children in this fun tutorial. 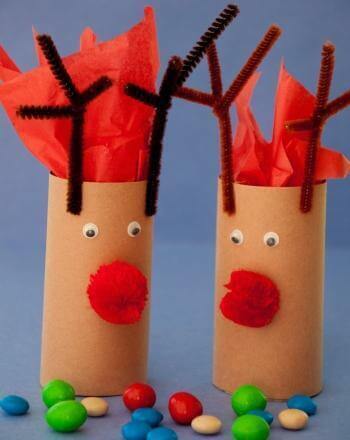 Turn a toilet paper tube into an adorable reindeer that can be filled with small holiday trinkets and treats. Pompom noses, googly eyes, decorative tissue, chenille stem antlers and craft paper make the upcycle a breeze.